In our classes, each lesson is presented to the child using all three modes of learning: auditory, visual, and hands-on. This multi-sensory approach addresses the fact that every child has an educational approach in which he learns best. This multi-sensory approach not only presents the lessons to the child in his optimal learning method it gives the child an opportunity to develop and strengthen the other methods of learning. Brain research indicates that the multi-sensory educational approach strengthens the brain. 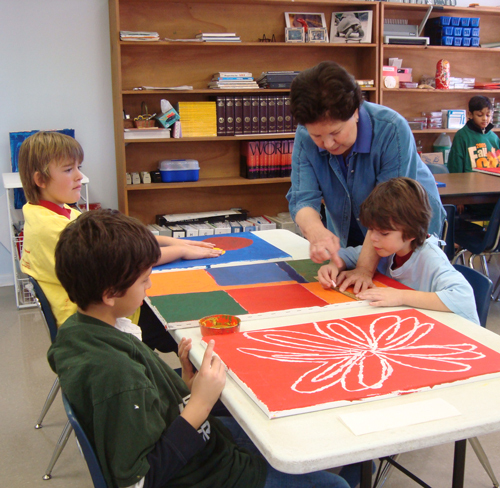 Another unique characteristic of the Montessori classroom is multi-age grouped classes. Children in the multi-aged class develop a sense of community and work together. The younger children teach patience and empathy, and the older children are role models, providing the younger ones with assistance and help in adjusting to the classroom. A multi-aged classroom allows children to excel at their own pace instead of everyone on the exact same exercise at the same time. Within our individualized programs, children advance through the curriculum based on the mastery of each level rather than age. © 2019 Riverbend Montessori School All Rights Reserved.